Welcome to the September Blog Hop! Celebrate the beginning of fall with me and my blogger friends by hopping around, visiting our sites, and entering our contests! There are no limits - you can enter the contest on every blog. With over 40 blogs participating, that's over 40 prizes you could win. Just click on the links below to move on to the next blog. Would you like to win one of these prizes? You just need to do two things. 1. Become a follower of this blog. 2. Leave me a comment in the trail and tell me why you'd like to win this prize. Yes, I will cry if nobody wants a Cinder and Ella t-shirt. Lie if you must. (Maybe best lie wins). That's it! You are now entered. The contest ends on Saturday night, September 24th, at midnight MST, and the winner will be contacted shortly thereafter. Please either leave your e-mail address in the comment trail or make sure it's visible through your profile so I can contact you to tell you that you're the lucky winner. 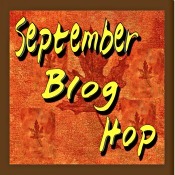 Learn more about September Blog Hop here. Powered by... Mister Linky's Magical Widgets. I would like to win the Gift Card so I can get books. a t-shirt sounds great too. Can I be entered in the giveaway to win either one? Thanks for the giveaway. I love fall. It means no more hot weather. Yay!! Sure a gift card is great, but how many people will be sporting Cinder and Ella tshirts this fall! I want me one of those!! I'm a follower :) I also entered to win the book on Goodreads. Looks awesome! I am a new follower by google reader and I would like to win, sorry about this, but an amazon gift card to buy, yep, books!!! They both sound like a ton of fun! I'd love to win the gift card! Who doesn't love to shop for books??? Wonderful prize. I'd love it. I'm following you and I want more books. I'd love to win the gift certificate. Both the gift card and the t-shirt sound awesome! I'm always looking for new shirts and the book just looks awesome. New follower! Would you kill me if i said GC? Since the shipping would be killer! I was kinda hoping it would be a Cinder and Ella book but a shirt will have to take the place until the book comes out. A GC would be nice to buy the Cinder and Ella book with. If the shirt is in a kids size (6/6x/7/8), my daugher would like it. Otherwise I have way too many t-shirts for me. Thanks for the giveaway. I'd love the lemonade and cookie! I'd also like either one of the prizes. Except I'll have to check the size of the T-shirt. When you're blessed with inherited line backer shoulders, like me, you never know what's going to fit! I'm excited to follow your blog. Great prize and blog. I'm number 31 on the list and am now a follower. Great! Enter me for the T-Shirt please! I'd love to have one! =) Plus, when the book comes out, I'd alredy have a T along with your book ;) And if I win, can you sign the T-shirt?? Wow, both prizes sound great! I am now a follower. I'd love to win the Amazon gc to fuel my book addiction! I am now a follower. I think the design of the Cinder and Ella looks beautiful. Would love that on a t-shirt. But either prize sounds great. 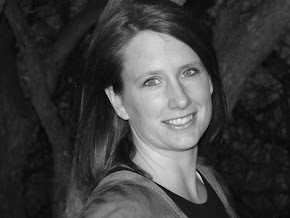 I would love to win the $10 Amazon card - I have my eye on a couple books! I would love to win the AGC because I'm a broke college student that unfortunately likes to read things other than textbooks and every little cent helps me save! I would love to win either one! The amazon gc would be great to buy a new book with, but I also love getting new t-shirts, especially if they are book related! I follow on GFC as squiggles87. I would like to win the Gift Card to buy more books. I'm a new follower. I'd like to win the Gift Card. Thanks! I would love to win the Amazon gift card. To buy "Cinder and ELLA" book. I would love to win the Gift card so I can buy books that have been on my wish list for a while now. I think the cover of Cinder and Ella is beautiful and I would love a t-shirt. Thanks for the giveaway! I'm a new follower and would enjoy either prize. I like the title--though I'm afraid I won't be packing away the flip flops anytime too soon in Texas! I'm a new follower. I'd love the amazon gift certificate of course--more books, or the t-shirt would be great too. Put my name in for both prizes. You know everyone can always use a gift card, but I would look so good in that t-shirt (if you have a big enough size for me)!!! OOO...Im not sucking up but I have heard good things about Cinder and Ella...I would love the tshirt!! jmluker at winco dot net!! Thanks for the giveaway. I'm a GFC follower as sablelexi. I think I'd like the GC to buy books. I am a new follower. I would love the gift card to get new books. I would love the t shirt because t-shirts are comfortable and a must have in life. I could also use a new one. The ones I have are a little worn out. Oooo! I'd love either one. I'm a follower! I've read your book, so I would proudly wear a Cinder & Ella tee so I could tell others about it. How awesome! Awesome prizes. Of course I want a cinder and ella t-shirt. I've been searching and searching for one. Finally-I've found one..
What great prizes you have!! It would be great to win either one. Thanks! I can't wait to read your book. I would love to review it! I have to say that I would love to win the Amazon gc. I can always use more gc for books and with kindle, I don't have to worry about storage. Thanks so much for the chance. old follower GFC: June M.
I don't want you crying on my account. Hit me with the beautiful Cinder and Ella t-shirt. I can actually picture it. I would be proud to be a walking promotional tool - did I really call myself a tool?? Of course, is EVERYONE wants the shirt, I'll opt for he Amazon gc. Thanks for the giveaway and for participating in this blog hop! I'd prefer the gift card since size doesn't matter but if you have a T-shirt in 3XL you can count me in for that one too! I already follow via GFC (MamaHendo3). Please enter me for either of them. I think I might want the T-Shirt more! Thanks for the chance. Some people dream in black and white. I dream in poetry. Everything on this blog, unless noted otherwise, is my original writing and I ask that you please treat it as such. No part of this blog is to be used for publication or for commercial reasons or profitable gain of any kind, or in any other way at all without permission ever. Violators of this policy will be hunted down and eaten. Thank you. Love in Bloom (A Destination of Romance Book 3) Is HERE!!! GIVEAWAY!!! GEARING UP FOR THE "AWAKENING AVERY" LAUNCH with a RAFFLECOPTER GIVEAWAY!!! Awesome Inc. theme. Theme images by billnoll. Powered by Blogger.